This cute cabin is nestled in one of the oldest Tahoe neighborhoods. 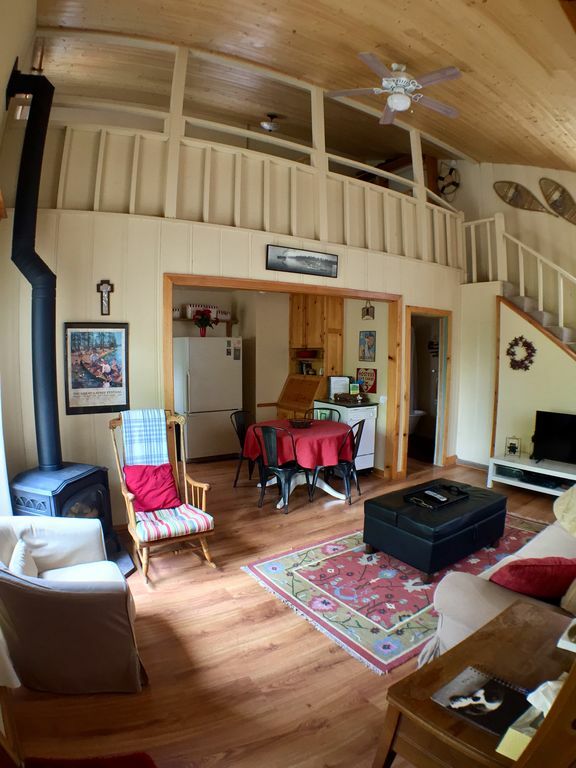 Boasting filtered lake views, this remodeled cabin has plenty Old Tahoe charm with lots of pine accents. Located across the street from the Lake it is a very short walk to two neighborhood beaches. It is perfect for 1-2 couples, honeymooners or one family. There is a private community beach across the street and boat launching facilities very close. The spacious deck with patio furniture is great for outdoor entertainment. For indoor entertainment, there is a flat screen TV, DVD player and VCR, books, games, CD player and radio, and gas fireplace. You are just 2 miles from the Zephyr Cove Resort, library, park, and Frisbee Golf course. Spooner Summit is just a 10 minute drive away with hiking (summer) and cross country skiing (winter). The casinos and Heavenly Gondola at Stateline are only a 15 minute drive away. We are pet friendly with prior approval required. This was a fantastic gem of a stay. So close to the water. The definition of a cozy cabin getaway. We had 4 adults and everyone was comfortable. And that's also thanks to having a great host who made sure we had everything we could need. Thank you and we hope to be able to come back some day! The best little lake house at Tahoe! My son and I and our pup Rocco, loved this little house. We booked it last minute and Kylie was great in accommodating us! Beautiful area, and being right near the lake was awesome.. It had everything we needed and more. Will definitely try and stay there again end of summer. Besides being in a wonderful location, host has taken much effort to ensure guests have everything they need regardless of season. Awesome family experience! The site was easy to get to and very peaceful. Great place to relax after ski and allowed for us to cook our meals when we wanted. The cabin is charming and comfortable and had everything needed for a great stay. The deck has great peaks of the lake across the street and the beach access is wonderful. We will definitely return soon!